President of Malta Marie-Louise Coleiro Preca presided over the launch of the Malta Businesswoman of the Year Awards, of which she is patron. 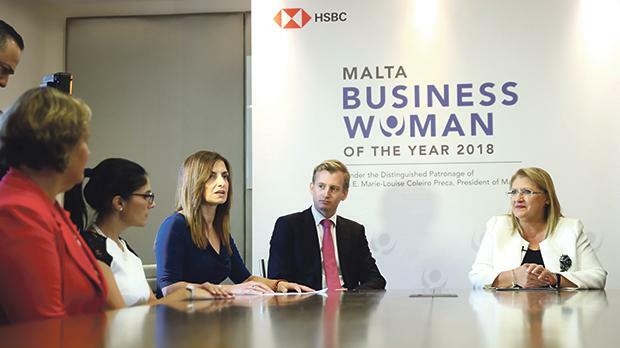 These awards, aimed at recognising and encouraging excellence among businesswomen in the country, are supported by HSBC Bank Malta plc. The inaugural Malta Businesswoman of the Year Awards will honour the accomplishments of women in two main categories: Businesswoman of the Year; and Young Businesswoman of the Year. A third recognition, Company Award for Excellence, will be presented to a company which demonstrates promotion of women in business. Applications are invited from businesswomen who with their foresight, creativity, and talent have opened the path for other women in the country to take on the enduring female-entrepreneurial spirit. Entry to the awards is free and can be made at the dedicated website www.mbwya.com.mt. Applications can be submitted until noon, November 26. Nominations will be judged by a panel comprised of some of Malta’s leading business personalities. A ceremony to announce the winners will be held at Verdala Palace, Buskett in February. Speaking at the launch event, Andrew Beane, HSBC Malta CEO, said: “Today 60 per cent of graduates from the University of Malta are female but only five per cent of all board positions in Malta’s listed companies are held by women, the lowest in the EU. More information on terms and conditions and the event, as well as online entry forms, are available at www.mbwya.com.mt.